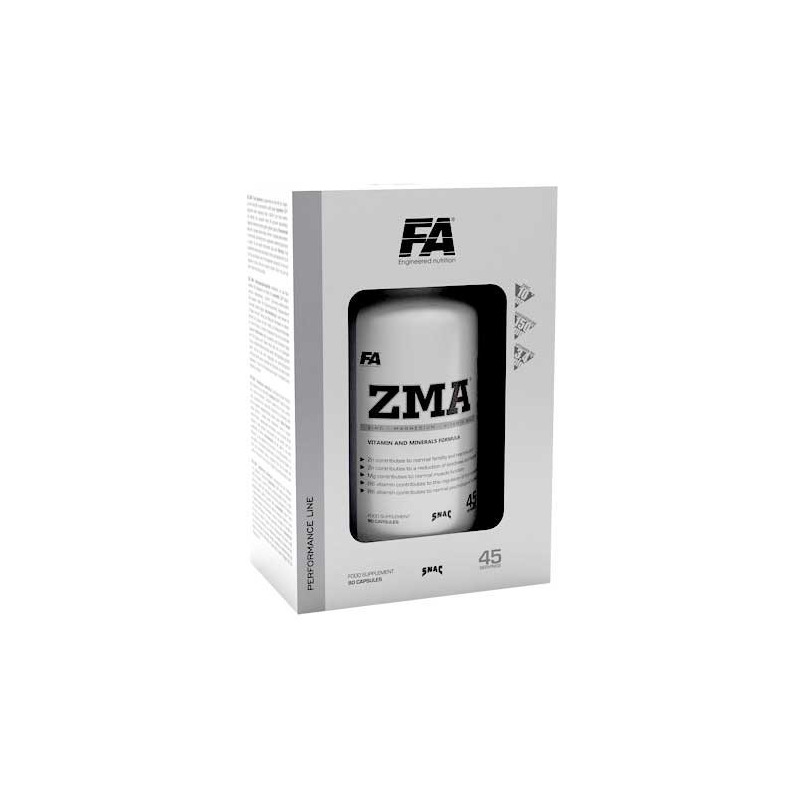 Return to Home > ZMA>Fitness Authority - ZMA - 90cap. Ingredients: Magnesium citrate, bulking agent (E460(i)), capsule [gelatin, colour (E171), water], anti-caking agents (E551, E470b), zinc citrate, vitamin B6 (pyridoxine hydrochloride). Recommended use: Take 2 capsules before bedtime. For best results, avoid taking foods or supplements containing high amounts of calcium. Warnings: Do not exceed recommended daily dose. Food supplements should not be used as a substitute for a varied diet. Do not use if you are allergic to any ingredients contained in this product. A varied and balanced diet and a healthy lifestyle are recommended. Do not use if pregnant or nursing. Store in a cool, dry place, away from direct sunlight. Keep out of reach of children.